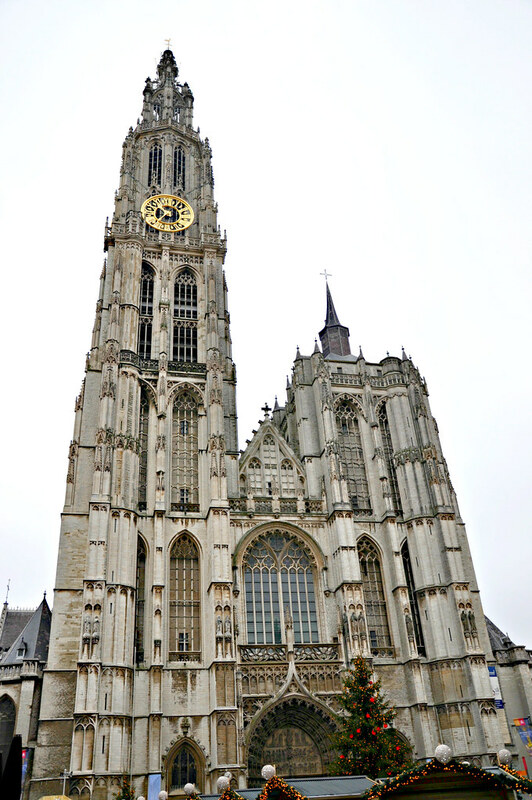 The first time we saw the Cathedral was during the night, seemed to be the star of Antwerp, high and full of light. In the morning we returned to the square will see had another charm. 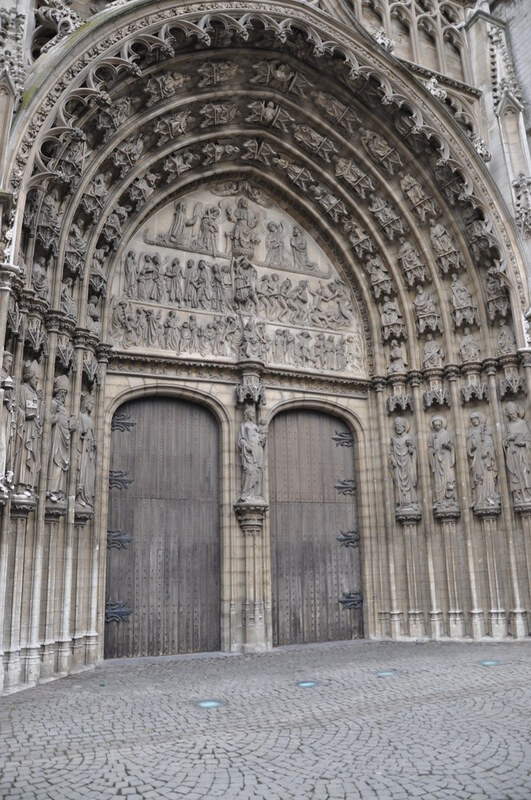 Gothic style, it took about 170 years to build and to this day is not complete. In the original plans were laid two towers but we can only see one complete with 123 meters high, the other one is only 65 meters. A nave principal é impressionante, de tamanho generoso tinha uma vantagem, a entrada de luz que claramente enaltecia os seus atributos. 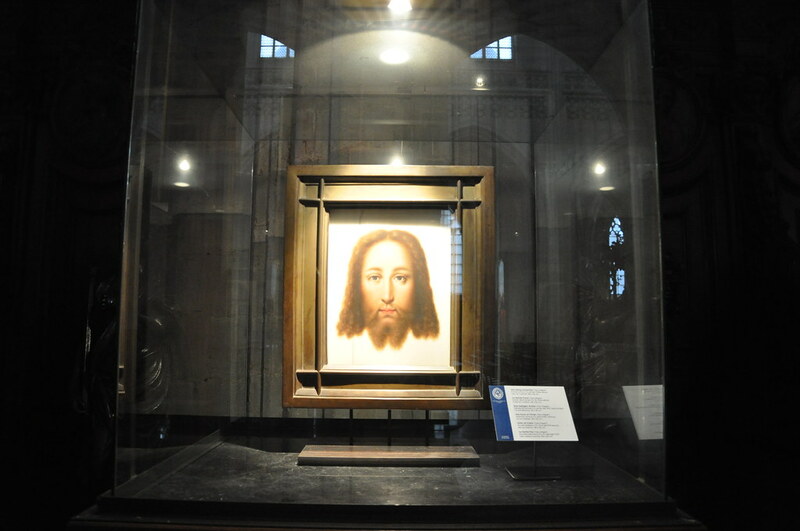 Nas laterais podíamos ver as várias exposições de arte sacra que fazem parte da riqueza da Catedral. Ficámos na dúvida se era um local de culto ou museu. 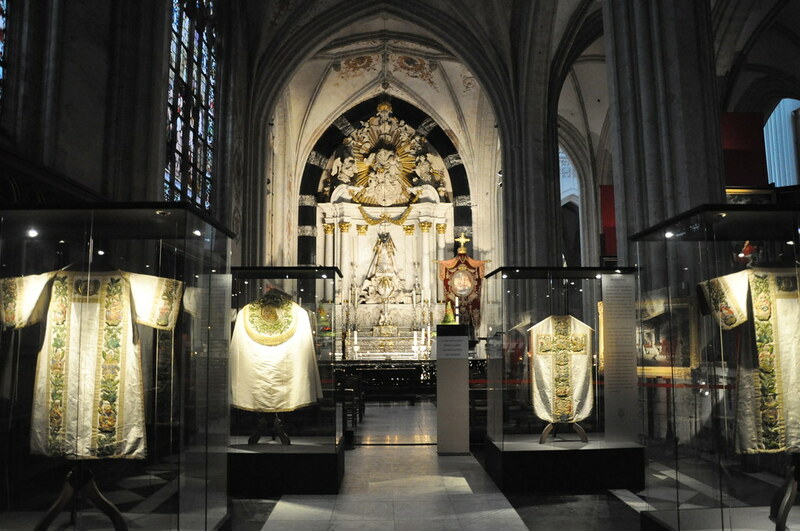 Uma das exposições mostrava os trajes utilizados pelos bispos nas diversas cerimónias religiosas que se celebram e também impressionantes eram os vitrais espalhados pela catedral, num deles podíamos ver um momento da Adoração da Cruz por parte do Arquiduque Alberto de Áustria e a sua mulher Isabel. 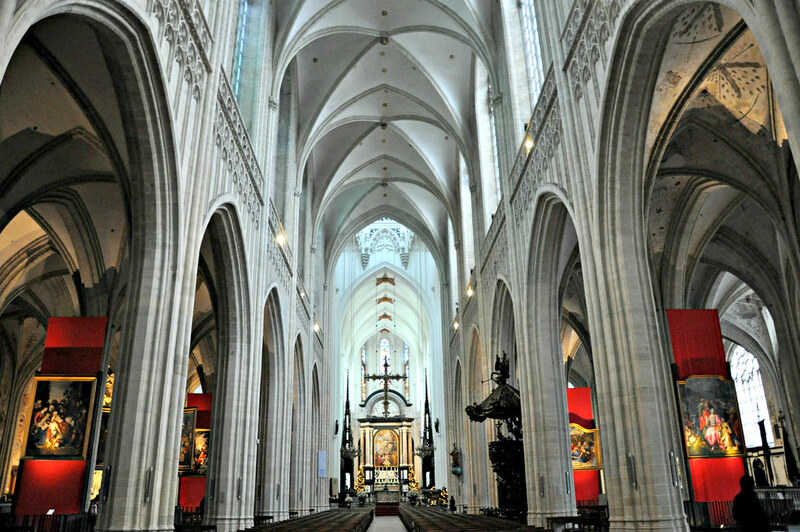 The main nave is impressive, with a generous size it had an advantage the light coming in that clearly praised its attributes. 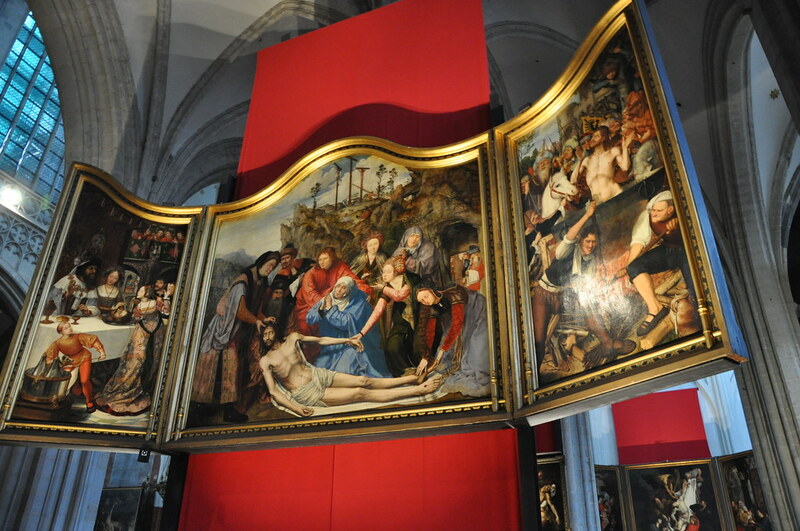 On the side we could see the various exhibitions of religious art that are part of the richness of the Cathedral. We were unsure if it was a place of worship or museum. 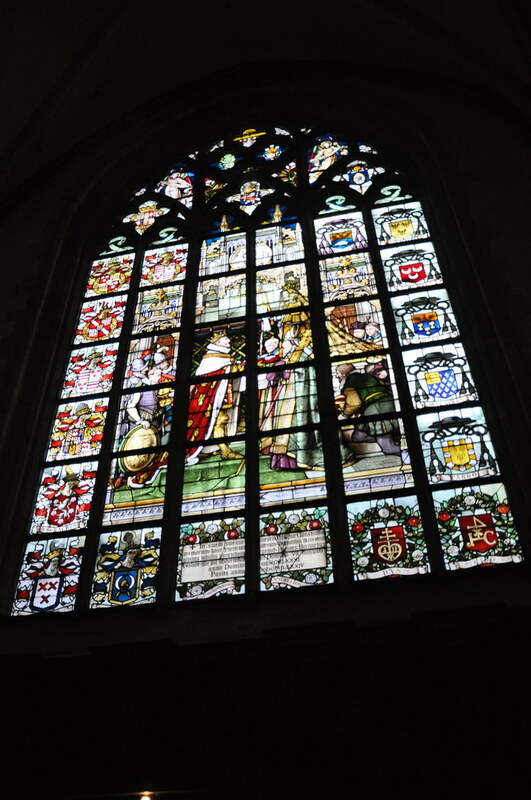 One exhibit featured the costumes used by bishops in various religious ceremonias and also impressive stained glass windows were scattered around the cathedral, one of them could see a time of Adoration of the Cross by the Archduke Albert of Austria and his wife Elizabeth. Os quadros de Peter Paul Rubens são uma das principais atracções da Catedral. São três painéis de pintura barroca sobre os últimos dias da vida de Cristo, um deles é o da Elevação da Cruz, o outro o da Assunção da Virgem Maria e o Descer da Cruz. Visitámos a pequena sacristia onde na parede figuravam os vários bispos da cidade. Perto da zona do coro está um dos dois orgãos da igreja, o Metzler foi instalado em 1993 e o outro é o Schyven que ainda hoje são utilizados para concertos na Catedral. A entrada na Catedral custa 5€ por pessoa e abre a partir das 10h. 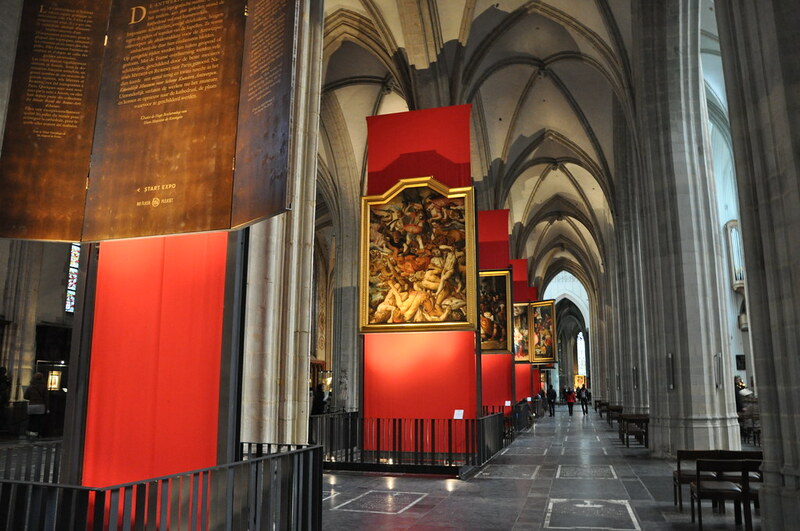 The paintings of Peter Paul Rubens are one of the main attractions of the Cathedral. Three panels of Baroque painting about the last days of Christ’s life, one is the Elevation of the Cross, the other of the Assumption of the Virgin Mary and Down the Cross. 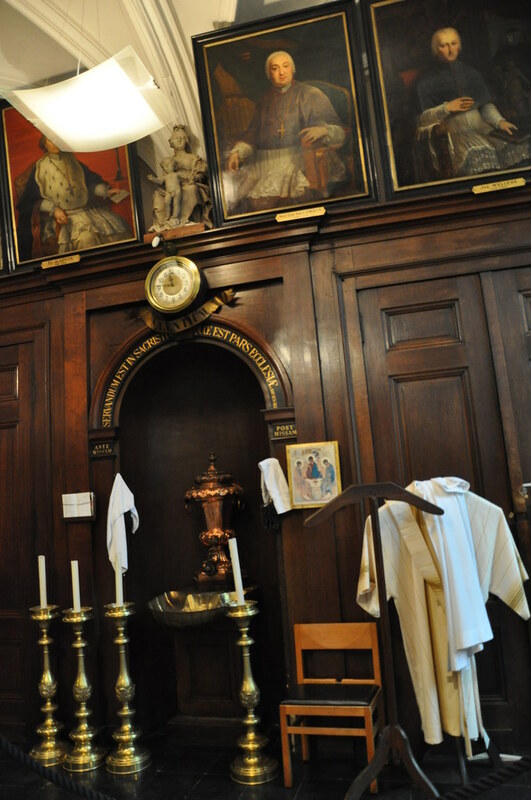 We visited the small sacristy where haming in the Wall were portraits of the various bishops of the city. 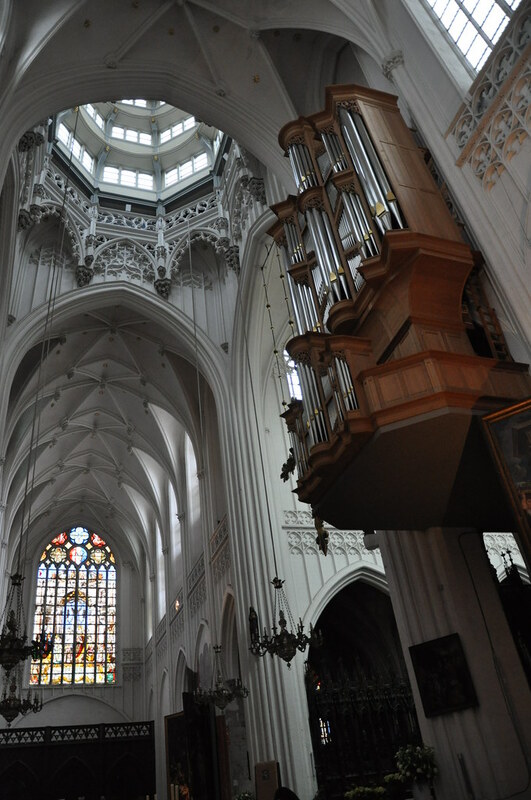 Near the choir area is one of the two organs of the church, Metzler was installed in 1993 and the other is Schyven which are still used for concerts in the Cathedral. 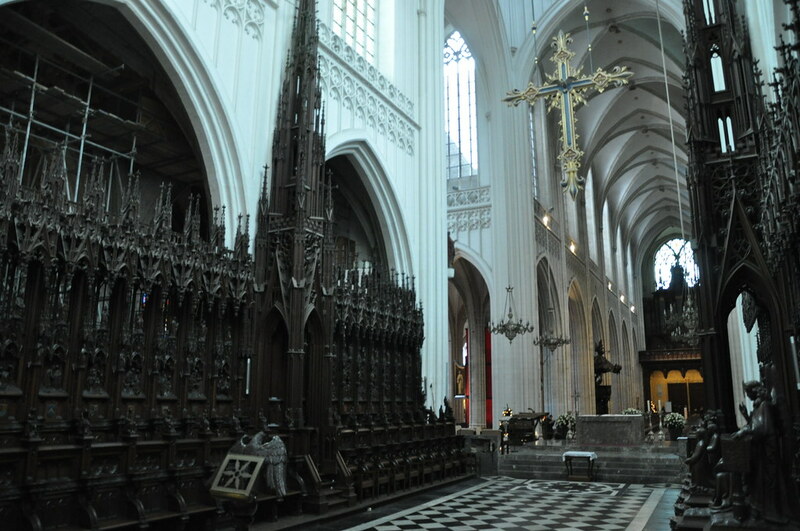 Admission in the Cathedral is € 5 per person and opens at 10am.